Will meditation help significantly reduce my general level of anxiety? If so, how do I learn how to meditate? There have been quite a few questions tagged with meditation. In my experience, it does significantly reduce anxiety when practiced on a consistent basis. Will meditation help significantly reduce my general level of anxiety? Maybe! It got me through the emotional tumult of my teen years successfully, and it's one of the ways to deal with anxiety that I continue to return to, years later. I suggested meditation, with a few wee tips that worked for me, in this ask.metafilter answer. If so, how do I learn how to meditate? I have seen many independent recommendations of Mindfulness in Plain English. Hmm, I've spent a few hundred hours meditating and about twenty hours working with the book, When Panic Attacks (stupid title, brilliant book). If you're looking for a rapid way to significantly reduce anxiety, I'd start with that. Working with the book will still take you several hours to get going, but it's worth it. Meditation is more of a long term, blanket solution. The book above is a surgical scalpel--you'll get *much* more mileage in the short term. As mentioned above, Mindfulness in Plain English is a great place to start for meditation, though. (I did.) It sure wouldn't hurt to do both. * you can meditate on many things: on a yantra (example), your breath, a thought, on attention itself, on a candle flame, on a mantra (or simply repeating 'om'), on a flower or a fistful of leaves. 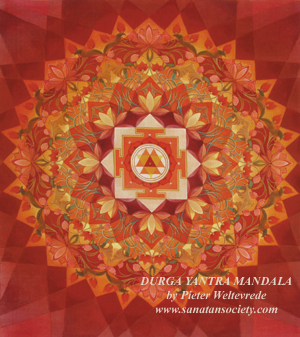 * You can chant a mantra out loud or internally. * You may meditate with your eyes closed unless that makes you sleepy. * in yoga meditation is something you build up to by going through steps of asanas, breath exercises, concentration and finally meditation. If you find it hard to meditate cold-turkey, you may try that. Make sure your environment is comfortable and non-distracting. Lights low (some people prefer a single candle), free of interruptions (turn off the phone). Loose, comfortable clothing. Sit down, in a comfortable but upright position. No slouching, but don't force anything. Just sit up straight, whether on the floor or on a chair. If the latter, make sure your feet are comfortably flat on the floor. Close your eyes. Breathe. As thoughts enter your mind, don't force them away; just let them pass. Breathe. Without forcing, allow your breathing to become slow and regular, but still relatively deep--not huffing great lungfuls of breath as if you're at the doctor! Just slow, regular deep breathing. Let your body find its own rhythm. Don't worry if thoughts keep intruding. It's okay. Just let them pass. Without being too cliche, be the rock in the stream; let the thoughts pass over and around you, but don't pay them any particular attention. The meditative state is that which you enter when you're not trying. Think of it like flow when you're working or playing an instrument: conscious mind is relatively engaged, but you're not consciously looking at each individual thing. Or, better, it's like playing darts or pool or shooting a target. Allow yourself to find the shot, and stop overcorrecting, and you will get it. Same with your thoughts: just allow them to pass. It's the simplest meditation technique there is, just breathing and being mindful of your breath. No promises on that first question :-) Everybody gets different mileage. Try it though, give it a few weeks and see what happens. As for the second question, I recommend learning with a group, a class, at a center or something where other people are involved. You'll be more focused and probably get more out of it. Most likely it won't be proselytizing --nobody is going to care so much if you don't "believe" or come back. Maybe! My therapist has been recommending it (as yet another way to fight against my depression and anxiety); it's been interesting to learn how much some of my strategies for dealing with mental problems resemble certain types of traditional meditation. Will it significantly reduce your anxiety? That's something that depends entirely on you and on the problems you are dealing with. Different meditation strategies may be more natural for you (for example, focusing on your breath may be more effective for you than chanting "om" and following instructions like "sit in half-padmasana" - or hey, it could be the other way 'round. Maybe you'll find the more formal sort of instructions more helpful.) Furthermore, you may find that meditation works best on its own; alternately, you may instead find that it works better when supplemented by therapy and/or medication. If you already have a therapist, consider asking them for advice. Anxiety can be a complex problem, caused by situations, emotional problems, or genes, and there is no single solution to it. All that said, meditation's definitely worth a try. The small number of studies included in this review do not permit any conclusions to be drawn on the effectiveness of meditation therapy for anxiety disorders. Transcendental meditation is comparable with other kinds of relaxation therapies in reducing anxiety, and Kundalini Yoga did not show significant effectiveness in treating obsessive-compulsive disorders compared with Relaxation/Meditation. Drop out rates appear to be high, and adverse effects of meditation have not been reported. More trials are needed.